The Willy Wonka story from a marketing point of view: Renowned chocolate-maker and mysterious factory-owner, WIlly Wonka, was the name nobody could get out of their mouths. His brand, Wonka, owned the candy market. Business was booming and children were happy. Time passed, and after a few candy makers broke into Wonka’s factory to steal his secrets, Wonka shut the gates to his factory altogether. These were the marketing dark days for Wonka. He shut people out and his marketing strategy didn’t evolve. Other candy makers started establishing themselves and Wonka’s candy all of a sudden wasn’t that special. Though the specific day can’t be determined, Wonka’s business declined to the point that the only remaining sentiment toward Wonka was complete and utter mystery. With a multitude of candy options available, everyone all but forgot about the once booming Wonka factory..
Wonka reassessed his marketing strategy and launched a new tactic that was relevant to the present day. His tactic? Give the people something they want: an opportunity to get a behind the scenes look at the factory through an exclusive tour, and a lifetime supply of chocolate. His medium? Golden tickets. Wonka, again, was the talk of the town. 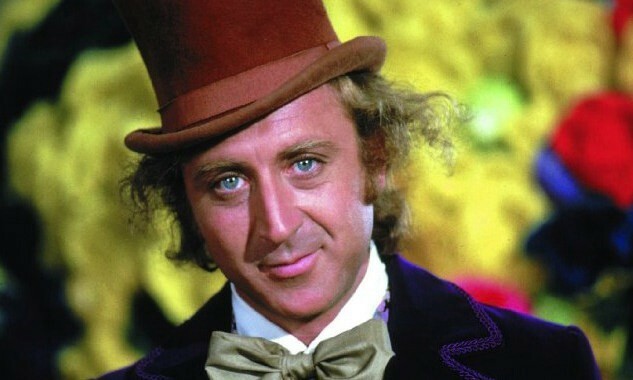 People were desperate to get their hands on his candy in order to obtain a golden ticket, and therefore, have a chance to figure out the Wonka mystery that rattled around in their brains for years. Wonka reassessed his marketing strategy and launched a new tactic that was relevant to the present day. It gave people something they wanted instead of bombasting them with a product pitch. How you can evolve your business’s marketing strategy today: Effective marketing looks different today than it did 5–10 years ago. Potential customers are constantly searching for answers to their everyday problems/needs. Most of the time they use Google and social media for their searches. Whereas traditional marketing focuses on the sales pitch, an evolved and effective present-day marketing strategy focuses on meeting people where they’re at in their own buyer’s journey. So, how can you evolve your marketing strategy today? Move budget: This might seem a little scary. Where you’re spending your marketing budget might have been successful in the past, but times have changed. Think about moving the money you’re spending on traditional avenues (TV, radio, newspaper, etc.) to digital avenues (Facebook, Instagram, Google, etc.). Not only can you target specific demographics better, you can actually track how well your marketing efforts are doing. Get social: Be active on social media, pushing out quality content that offers people something that’s beneficial. What’s beneficial? First, let’s establish what tends to not be beneficial. If someone hasn’t heard of your company and is happening upon your business’s Facebook page for the first time, they most likely aren’t going to have a positive response to a page that’s filled with posts that are all about your business. These people would have a better response to content that was educational, not just about your business, but about your industry overall. These people would also have a desirable response to free offers in the form of ebooks, checklists, webinars, etc. The most effective part of being social is actually being social. Your goal is to attract customers, so don’t dominate the conversation by talking about yourself the whole time. Start blogging: Blogging is a great way to educate people in more detail. Potential customers are always searching for answers to their questions, and you can provide those answers in blogs. Blogs are also a great avenue to embed an offer and capture information about the person who claimed your offer. Nurture leads: So you’ve started pushing out quality content and have seen some sales leads come in because of it. Now what do you do? Don’t just ignore these leads after they’ve shown interest in you. You aren’t an adolescent boy who thinks ignoring a girl will make her like you more, and your leads aren’t the poor girl who deserves more than being thrown into some boy’s mind games. Instead, nurture your leads. After they’ve shown interest, do everything you can to continue the conversation with them. This doesn’t mean forcing your agenda on them, it simply means follow up with them, offer them something else they might like, and ultimately, just continue being social with them. Create advocates: One of the best examples of success stemming from creating brand advocates is Chance the Rapper. Chance the Rapper is a 23-year-old rapper. He’s never sold an album. He refuses to sign a record deal. And, all of his music is streaming-only. But, Chance the Rapper made Grammy history this year by snatching three Grammys. Find out how he created brand advocates, which propelled him to the Grammy history books, here. Attract, convert, close, delight: This should be your goal. Attract strangers through quality content. Convert these strangers to leads through offering them something they need. Close the deal by turning these leads into customers through follow ups and nurturing. And delight these customers so they promote your business for you. Put these all together and what have you got? 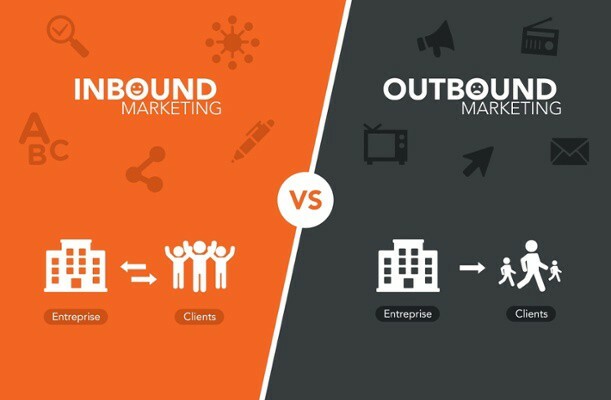 Bibbidi-bobbidi-inbound marketing! Potential customers are constantly searching for answers to their problems/needs. So, you have so much to do and so little time before your competitors begin doing what you’re doing, or successful marketing strategies evolve. Keep evolving. Keep progressing.